SJMS Connect is an organization of parents, teachers, administrators, alumni, and supporters of St. Joseph Montessori School. We support each others personal and professional endeavors so we can in turn support SJMS. We meet the 2nd and 4th Tuesday at St. Joseph Montessori School from 8:30-9:45 am for a fun and lively exchange over coffee. Please check in at the front desk before proceeding to the Maria Montessori Conference Room. We host periodic evening socials because many connectors cannot meet in the morning. Learn more about each other's professions and interests both at meetings and by referencing our online directory (see below). Create an awareness of how we can support each other. Expand our sphere of influence by connecting with other successful people. Provide tips, leads and referrals to each other once we know, like and trust each other. Track our successes so we can demonstrate the advantages of belonging to the organization. Continually search for ways to support SJMS. Isaac Wiles is a full-service, sixty-lawyer firm native to Central Ohio that is big enough to win, yet small enough to care. My practice areas of emphasis include insurance coverage, construction, litigation, and public law. I have extensive experience in Ohio and federal courts. Zulily is a retailer obsessed with bringing moms special finds every day. My job is to strike deals with brands you know and introduce new brands that you won’t find anywhere else. Residential/Commercial Mortgage Lender with 25 years of Banking Experience. I specialize in helping people secure financing on a new home purchase, refinancing of individual’s current home, construction loans, and commercial loans to acquire real estate. Independent personal and commercial lines insurance broker with a wealth of experience. My goal is to build lasting relationships with honest advice, integrity, and excellent customer service. Being independent allows me the opportunity to shop many companies for the best price and coverage, ensuring each clients' needs are met. Mighty Crow Media works with non-profit organizations to strengthen program performance, secure funds, evaluate outcomes, and train and educate staff. We also provide web design, technology consultation, infrastructure development, and project management services. I am a natural light portrait photographer. My goal is to capture the real smiles and personalities of my clients, from infants to adults, not just the sit and “say cheese” ones. I am a Realtor with Keller Williams Greater Columbus. I have been a Realtor for 25 years and do mostly residential sales, both listings and buyers. Main areas are spread around Central Ohio (German Village, Short North, Dublin, Upper Arlington, etc). Providing compassionate end of life care for companion animals since 2009, Closure provides in-home euthanasia of pets and transportation for post-care. Being a stay-at-home father, my hobbies have grown into a successful business. For 25 years, my brother and I have curated art collections for small and large companies including the Hilton Columbus Downtown, and the Greater Columbus Convention Center including the interactive head sculpture titled, “As We Are." In the past 10 years, I have grown my other hobby of video production into capturing stories of individuals and companies who have something wonderful to share. Amaze Escape Game would love to host your next family night, corporate event or birthday party! Our goal is to provide 60 minutes of brain power, laughter and teamwork. Our rooms are Columbus-themed and not at all scary. They include puzzles, riddles, math problems and high-tech props! Blair chiropractic is an upper cervical technique that is very gentle and specific. Perfect for all ages, Dr. Endel uses drop tables and a manual adjustment to help you reach your wellness goals. We also offer whole food supplements and massage. KASA Yoga and Wellness is located in historic downtown Worthington, Ohio. This comfortable and nurturing boutique studio was created as a home away from home, offering yoga, reiki, ayurveda, meditation, workshops, and essential oils. Looking for something fun to do, a way to show off Columbus to out of town visitors, the perfect gift or a new idea for corporate entertaining? 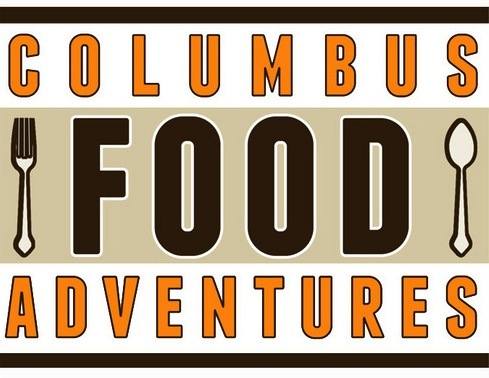 Columbus Food Adventures, Columbus Brew Adventures and Columbus City Adventures offer a wide variety of tours whether your interests are architecture, craft beer, exploring new neighborhoods or immigrant cuisines.